Mangalore is the port city of Karnataka, India. The city is having another name in Tulu language as Kudla. The Bangalore city is just 357-kilo meters away from Mangalore. This natural beauty Indian tourist place is located between the Western Ghats hills and the Arabian Sea. Mangalore city was named following Hindu goddess Mangala Devi. 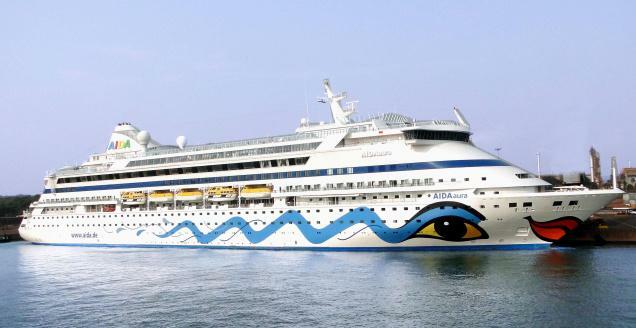 The two big rivers known as Gurupura and Netravati of Mangalore behave as a staging center for Arabian Sea traffic. The modest weather of city permits visitors to reach the spot anytime. 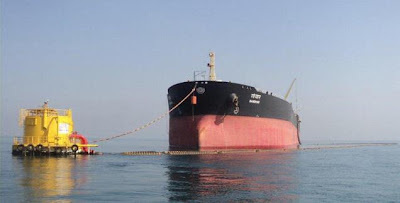 Around, 75 % of coffee and most of the cashew is exported from Mangalore port that means the port of Mangalore is connected to the world through the sea. Looking at the history of the city it was ruled by many rulers such as Hoysalas, Kadambas, Chalukyas, Vijayanagar dynasty, Rashtrakutas and Portuguese. Mangalore was the part of the Madras government until the independence of India. Some known languages that people speak in Mangalore are Tulu, Kannada, Konkani, and Beary. Here the tourist will find rolling hills, freshwater streams, coconut palms, and red clay tiled buildings. The city is placed on eighth position in the list of clean city of India. Sultan Battery: this is the black stone protection area built by Tippu Sultan to stop battle ships to enter the Gurupura River. Tourist has to travel for 6 km distance from Mangalore City Bus Stand. Presently, it is the abandoned destination but a tourist will learn about the city's history by visiting this place. Kadri Manjunath Temple: this shrine is the ancient historic destination for a tourist in Mangalore. Temple is constructed in the square boundary on the high hills, which attracts the visitors. 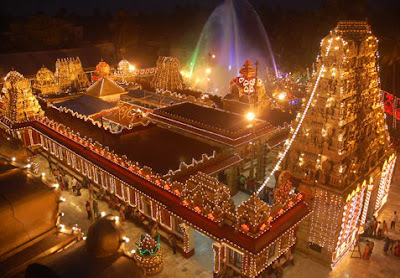 Devotees of Lokeshwara are reaching the temple in the large amount every year. The statue of Lokeshwara is made of bronze. On the hills, people can visit 'Jogimutt' and some caves of Pandavas. The only distance of 4 kms from NMB (Nehru Maidan Bus stand) allow visitors to reach the spot easily. Visitors can also watch the seven sacred pools at this place. 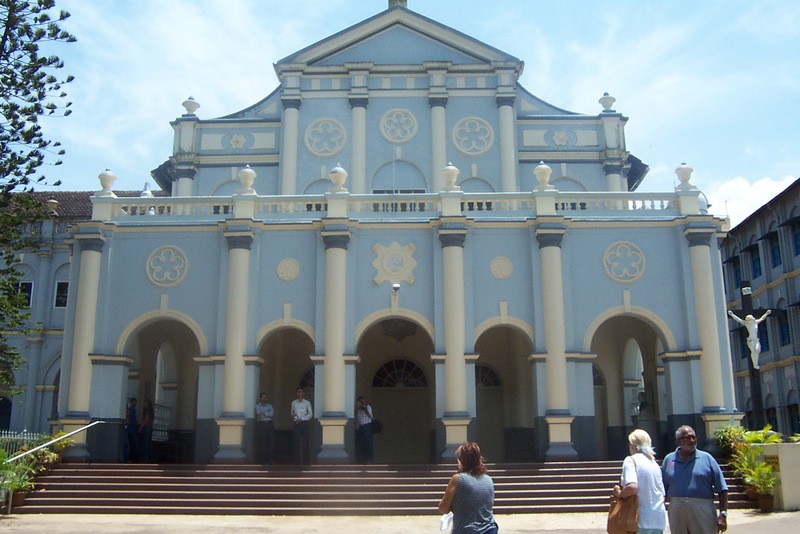 St. Aloysius Church: this church is just 1 km distant from Nehru Bus stand. Here the paintings on the church walls are best thing to watch. The artist Antony Moshaini form Italy made all these paintings at the time of Portugal rulers. The construction period of church was between 1899 to 1900. 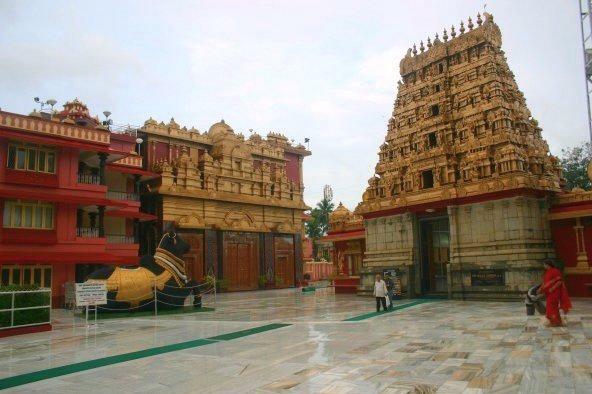 Shri Sharavu Mahaganapathi Temple: the city is world-famous for religious centers. Visitors will find countless temples such as Sharavu, Mangaladevi, Kadri, Kudroli and many more shrines. 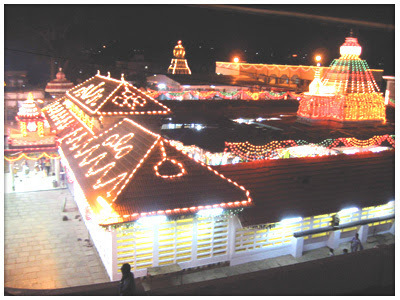 Sri Sharavu Sharabeshwara shrine is outstanding among all temples of Mangalore. 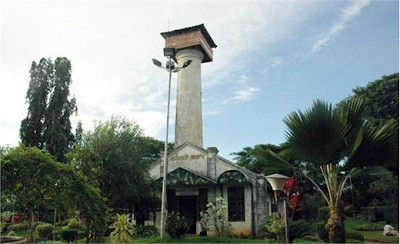 Light House Hill Garden: this garden is located at 1 km distance from the city bus stand. The astonishing sea view from the hill and sunset vision with sailing ships could be diverse experience for visitors. 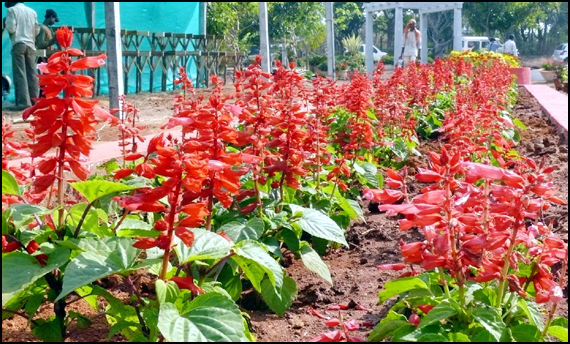 The renovated garden at hill is beautifully decorated, which gives amazing feeling to visitors. Kudroli Gokarnath Temple: this pilgrim spot is just 3 kms away Nehru bus stand. Temple has been recently renovated so it is another best tourist spot of Mangalore. Mangaladevi Temple: This is another pilgrim place of the city situated only 3 kms away from bus stand. The construction of the temple was done by Ballal family of Kerala. Seemanthi Bai Government Museum: the next tourist place of Mangalore is museum located at 4 km distance from Nehru city bus stand. 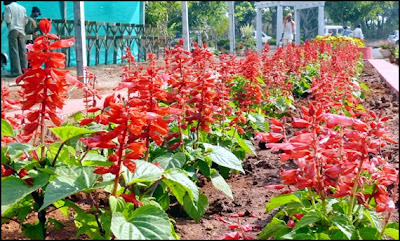 Kadri Park: those who love greenery should visit Kadri Park located at 5 km distance from bus stand. 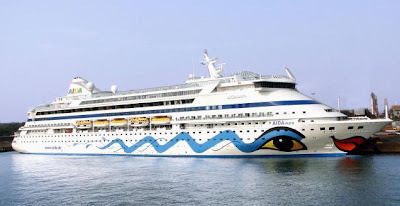 Mangalore Port: sea lovers can reach to Mangalore port situated just 10 kms away from the bus stand. Experts describe the harbor as India’s 9th biggest port. 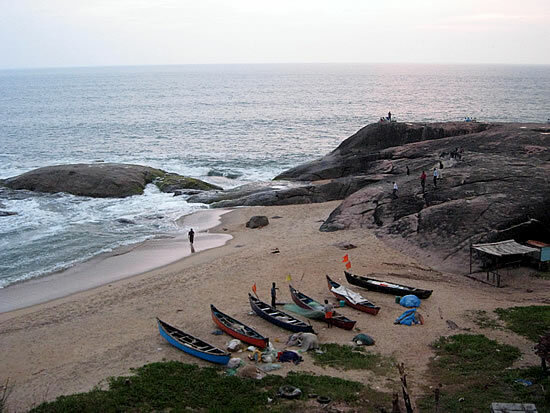 Surathkal Beach: beach lovers can reach to picturesque Surathkal beach of Mangalore. The clean surrounding with light house is special spots at this beach. Tannirbavi Beach: another beach at Mangalore is Tannirbavi popular for sunset view. Travelers have to cross 12 kms distance from local bus stand to reach the spot. 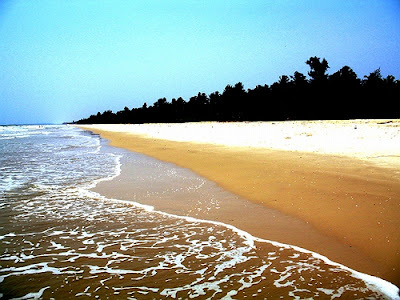 Someshwar Beach: this is one more beach of Mangalore situated at just 11 kms distant. Here tourist can enjoy great rock lying on the beach. Ullal Darga: the major mosque of the city is "Ullal Darga" constructed in 1958. Uroo's festival at this place is special to watch, though the festival is celebrated after every five years. Some other visitor’s spots in Mangalore are Rosario Church, Milagres Church, Sharavu Maha Ganapathi Temple, Kudupu Temple (9 kms away), Polali Rajarajeshwari Temple (22 kms away), Bengre (2 kms away), boat riding center and Kotepur. Bandipur National Park (310 kms), Chikmagalur hill station (146 kms), Coorg (159 kms), Goa (360 kms), Kozhikode (221 kms), Madikeri hillstation (143 kms), Mysore (260 kms), Ooty (397 kms), Srirangapatna (278 kms), Wayanad (260 kms), Bangalore (372 kms) are few more gateways near to Mangalore City. By Road: Mangalore roads are clean and properly managed by administrations. The NH (National Highway) 48 and NH 17 is linked to many other big cities and towns of the nation. Private and government buses are available from various cities of India to reach Mangalore. 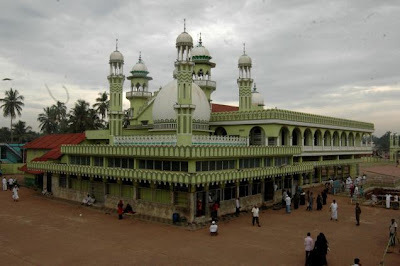 By Train: Mangalore is the big city directly connected through train from various parts of the country. Kerala -Mangalore Railways, Konkan Railways, and Hassan-Mangalore Railways are direct trains allowing visitors to reach this Indian tourist place easily. By Air: The closest Bajpe airport to reach Mangalore is just 16 kms away. Bajpe airport is connected by domestic flights from various parts of the country.